A couple of days ago, I was summoned to the door to sign for a big white and pink box (ooh, exciting!) What was in that box? A variety of really amazing things, that's what! You see, it was my August PopSugar Must Haves box. The PopSugar Must Haves box is a specially curated selection of items from a variety of areas like home, beauty, style, and health. It's shipped out monthly (aka a subscription service) and is the adult equivalent of a kid on Christmas morning. I seriously had an awesome time discovering what was in mine. Read on to see more of what I received! 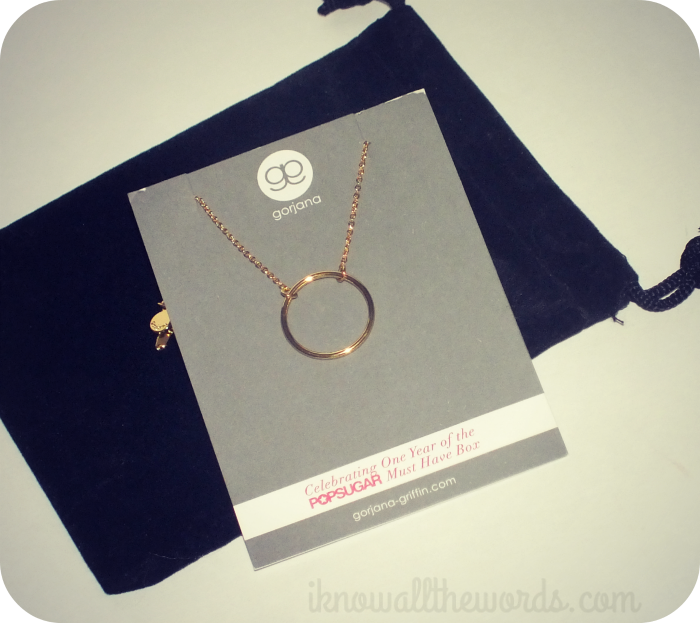 The August Must Have box marks their first birthday/anniversary and to celebrate, each box came with a really cute Gorjana Open Circle necklace as a gift. The necklace is 18k gold plate, which gives it a rich gold tone, and the open circle is trendy, modern and timeless. I really love it and know I'll get a lot of wear out of it. How neat is this! 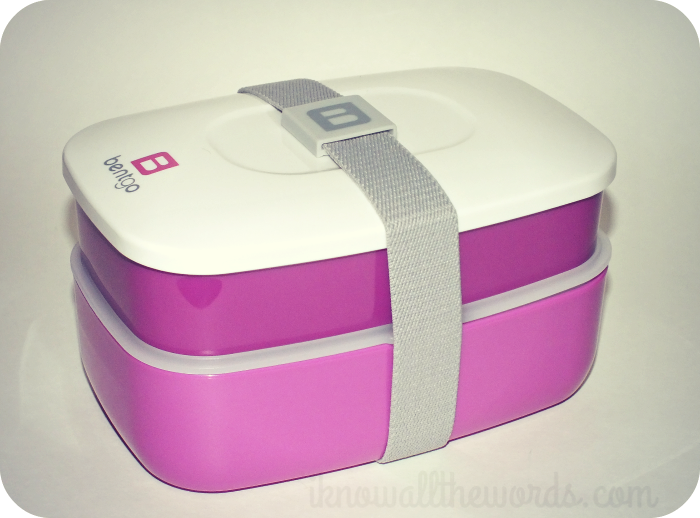 The Bentgo is an organizational food storage system that is made of plastic that is free of BPA, microwave and dishwasher safe. 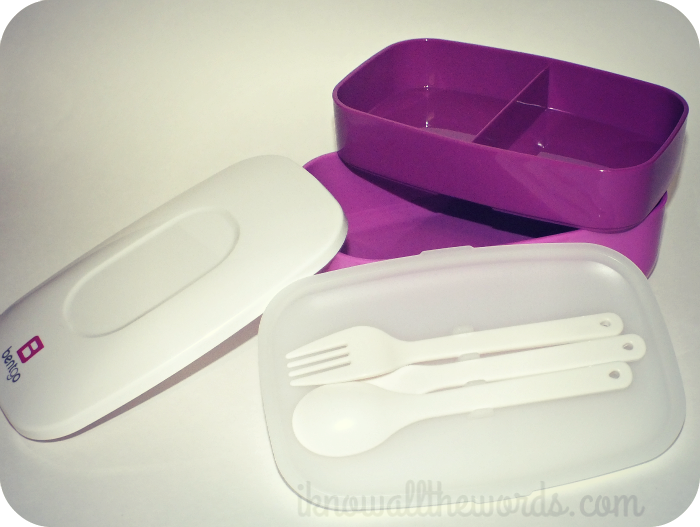 It's made up of a larger bottom container and a divided upper container and is complete with it's own utensils. One of the neatest things is the little strap that keeps every thing neatly contained. It comes in four colours as well- blue, grey, green and purple, which I got. Love this! 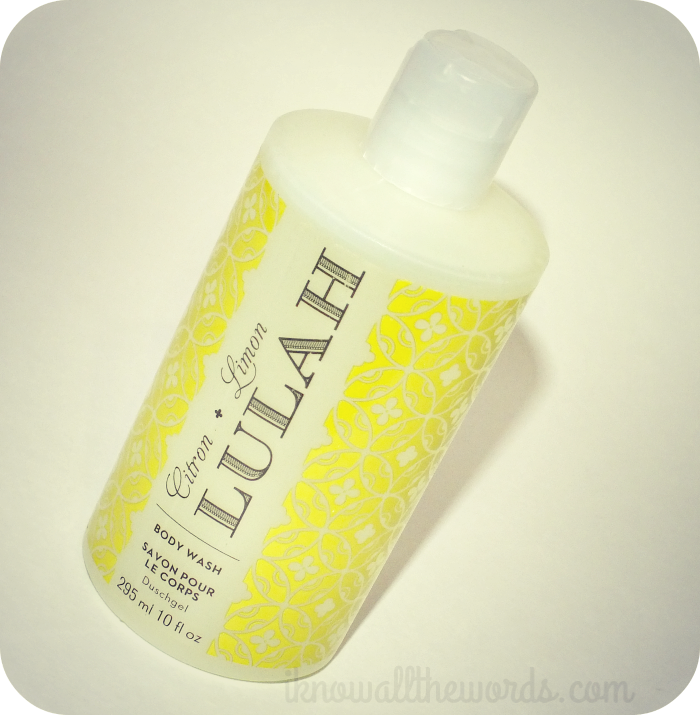 Lulah is a new brand for me, but how cute is the packaging? I was surprised the price was so reasonable, especially when you consider how large the bottle is. The body washes in the Must Haves boxes were random, but I got the Citron scent which is a blend of pink pamplemousse (aka grapefruit), tart lemon, sweet basil, and herbal tea. It smells amazing! I'm excited to see how well this fares in the shower. I am beyond excited about this notebook. 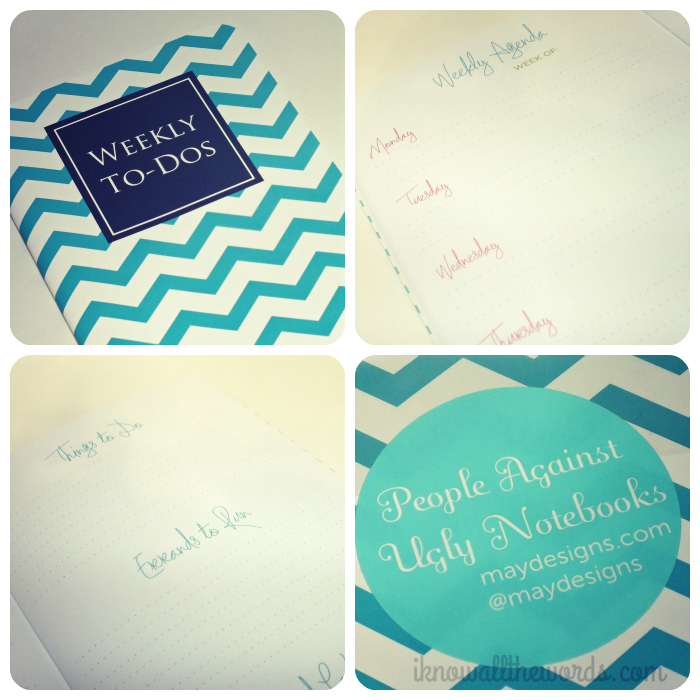 I love stationary of all kinds, but it can be hard to find the right agenda/planner. You know? Sometimes they just don't work with what you'd actually use them for, but the layout of this is SO perfect! One one side you have the days of the week with plenty of space for notes. On the other side there is more space for notes in sections like 'things to do' and 'errands to run'. I've decided this will be my official blog planner. I'm kind of obsessed with the May Designs website as you can design your own notebook(!) Check my own customized book here. So cute! Not to sound like a broken record here, but how cute is this?! I love enameling and this is just too cute. 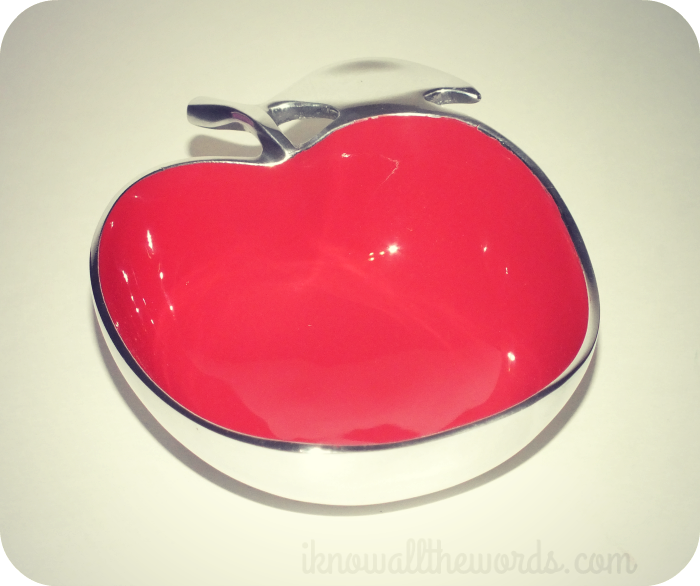 I assumed this was a decorative bowl, but it is not only food safe but it can be used for both hot and cold foods. The cheery red is just so happy! This is part of a set, and doesn't look like it's available individually, but similar items sell for about $45-$55 on the site. If you like kitchen-y things do check them out, they have some amazing pieces- I kind of want everything! 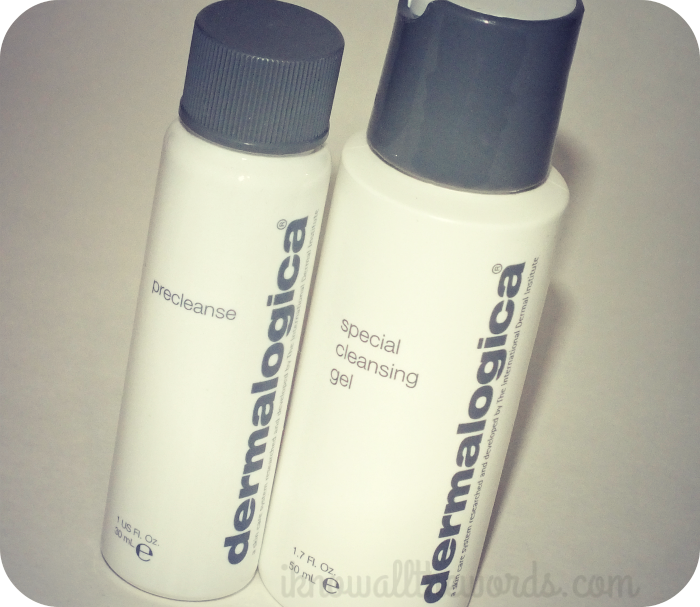 Next up, Dermalogica Precleanse and Special Cleansing Gel. The set provides everything you need for a double cleanse. The precleanse is an oil cleanser that you use to before the cleansing gel to remove the bulk of makeup and what not which allows the cleansing gel to cleanse skin thoroughly. PopSugar states that all items in their Must Have boxes are full size, but these are travel size. I guess the two bottles together is almost equal to one whole. right? Whatever, I'm really looking forward to seeing how these perform. 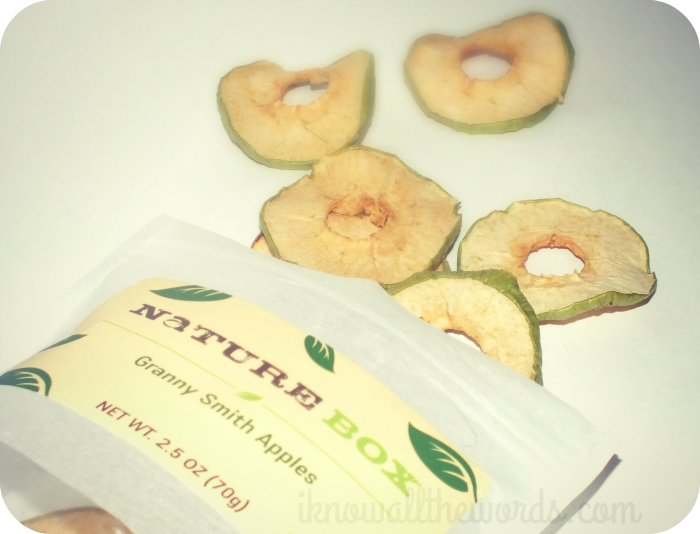 Lastly, a bag of dried granny smith apple slices from Nature Box. These were quite good! Nature Box is a subscription service that I hadn't heard of, but sounds neat. For $19.95 a month (free shipping) you get five full size packages of healthy snacks. The Must Haves box included a code for 50% your first month, but like so many neat things, they don't ship to Canada. Le sigh. Overall, this box has a value of $185 (give or take as I couldn't get exact prices for everything) which is pretty amazing considering the Must Haves subscription price is only $35. I like that the items are so varied and that they're neat and useful things (for the most part) that you might not think to buy for yourself. It looks like spots for the September spots are already filled, so sign up now if you're interested in the next box (here.) What do you think of subscription services like this? Yay or Nay?